You can see that the top three beers outpaced the rest of the field by a comfortable margin. When the polls opened Musk of the Minotaur jumped out to an early lead. Slowly but surely CBC IPA and Mystic Mama caught up and with three days to go CBC held a slim lead while Mystic Mama was tied with Musk of the Minotaur for second place, but a late push put Musk of the Minotaur over the top. 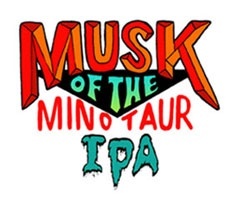 Those of you who have been following along will know that this means Musk of the Minotaur will be representing Central Ohio at the finals of the King of Ohio IPA contest this coming Saturday (November 1). It will join the winner of my blind taste test of Central Ohio IPAs, Seventh Son’s Golden Ratio IPA in the finals. It’s fitting that Musk of the Minotaur won the reader’s poll, because it was a close runner up in the blind taste test. As I explained in my post announcing this contest a third beer will join the winners in the finals, based on its performance in the readers poll and taste test. After careful consideration I feel the most deserving beer to get the third and final spot is Columbus Brewing Company’s IPA. It’s the granddaddy of Central Ohio IPAs and has been a go-to beer for me since I first moved to Columbus in 1998. It’s strong showing in the readers poll shows that it is much loved by the citizens, and CBC is just coming off winning two medals for hoppy beers at the Great American Beer Festival (a gold for Creeper and a bronze for Bodhi). I did give serious consideration to Jackie O’s Mystic Mama, which finished third in the readers poll and fourth in the taste test, but in the end CBC had too many things going for it. In the next stage of the competition Musk of the Minotaur, Golden Ratio IPA and CBC IPA will face off in a blind taste test against the best IPAs from all over the Buckeye state. This coming Saturday I’ll be joined by Tom Aguero (Queen City Drinks), Rick Armon (The Beer Blog), Bob Lesher (The Artful Pint), Cory Smith and Ron DeGregario (The Brew Review Crew) to taste 16 of the best IPAs in Ohio and choose a winner. Because Elevator Brewing is gracious enough to host the finals we’ve agreed to include Three Frogs IPA in the final showdown, so Central Ohio will have four horses in the race. Competition from other parts of the state promises to be stiff though. Follow the links below to learn the identities of the other 12 beers that have reached the finals. No White Rajah or Headhunter? Jeez…. JD those two beers are in the Cleveland regional. Follow the link to the Artful Pint to see how they fared, I think you’ll see that they are also much loved. Come back next Monday to see how the Columbus area beers stack up against those heavyweights in the blind taste test.